Pip Guyatt, a mother of two, started experimenting with making homemade, natural soaps in order to reduce the skin irritations suffered by her eldest son. The results were brilliant, and soon Pip began receiving orders from family and friends, Pip eventually expanded to supplying retail outlets and the general public who were also passionate about natural skincare. 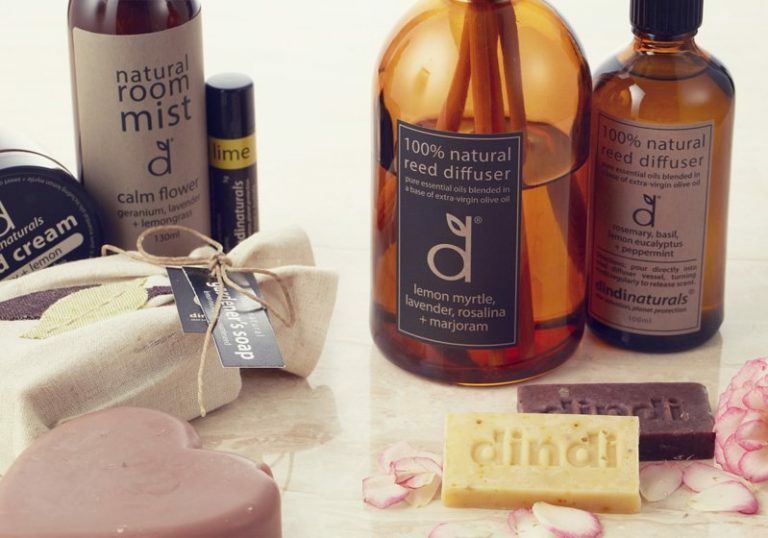 As a result, Dindi Naturals is now renowned for making natural soaps that contain NO toxic or synthetic chemicals; and that derive environmentally-friendly ingredients from areas of fair trade and sustainability. The company is based in the mountainous north-east region of Victoria, Australia, known as the Murrindindi Shire – hence the name Dindi. The location is as natural as all the Dindi products, so when you use a cake of Pip’s soap, you feel the freshness of the Murrindindi, and the overall vitality of beautiful Australia. Dindi Naturals range prides itself on not using palm oil or palm oil derived products in any of its natural skin and body care ranges. Choosing palm oil free products avoids causing major habitat destruction and threatening many species in Indonesia and Malaysia, particularly the Orangutan population.